Who would win this fight? : Cyclonus (G1 Cartoon) Vs. Starscream (SG) - With Poll! This week's inter-continuity battle will be between G1 Cyclonus and Shattered Glass Starscream. The second-in-command of the EVIL Decepticons, who serves under the sadistic and volatile Galvatron. Cyclonus is a strong and imposing warrior endowed with the speed and power to back up his fierce image on both land and in space. Despite his physical attributes, Cyclonus is not a stereotypical brute, but a highly intelligent and competent being with a calm demeanor. He is the consummate military professional. 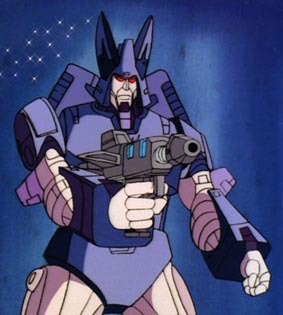 The disciplined and methodical Cyclonus not only has the strength, charisma and wits to fulfill his role as second-in-command flawlessly; but he is arguably a better Decepticon leader than Galvatron himself. If Cyclonus had any weaknesses, it would be that he is loyal to a fault, and he has no personal goals of his own. 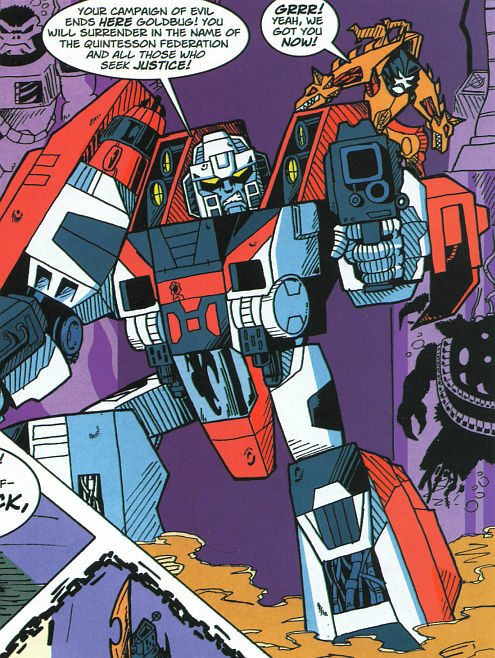 The second-in-command of the HEROIC Decepticons, as well as one of Cybertron’s most brilliant scientists; Starscream is Megatron’s greatest asset and most loyal friend. Though he considers himself a scientist and a diplomat first; Starscream is still one of the greatest fighters among the Decepticons, and to top it off, he’s equipped with the most technologically advanced weaponry. Despite possessing these enviable qualities, Starscream is still a humble yet likeable leader who treats all Decepticons with equal respect, and would risk his own life to save even the lowest ranked Decepticon. Voting ends on Easter Saturday (31 March).